Kasco dock mounts for deicers attach to your dock or piling. 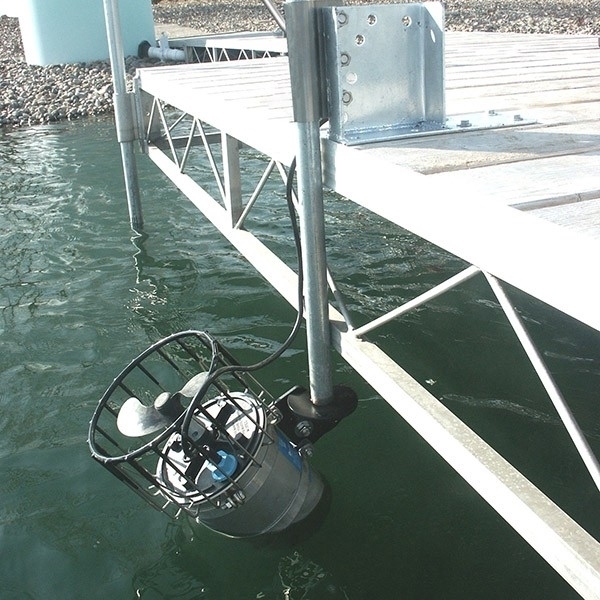 You can easily mount & position your Kasco unit to your dock with our universal dock mount. Several angling options as desired. This is the mount only - Aerator sold separate. 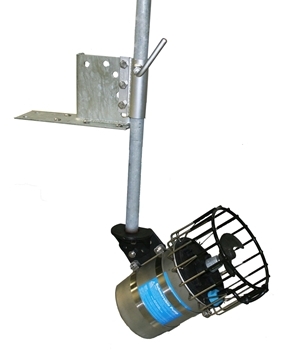 The Industrial option still allows for 360 degree operation, adjustment angling, & the ability to raise and lower the unit in the water column. Because of it's stronger design, it allows for the option of longer than a 10ft pipe for deeper applications. Mount only - Aerator sold separate.